I recently attended the launch of Colin O’Brien’s new collection Travellers’ Children in London Fields. 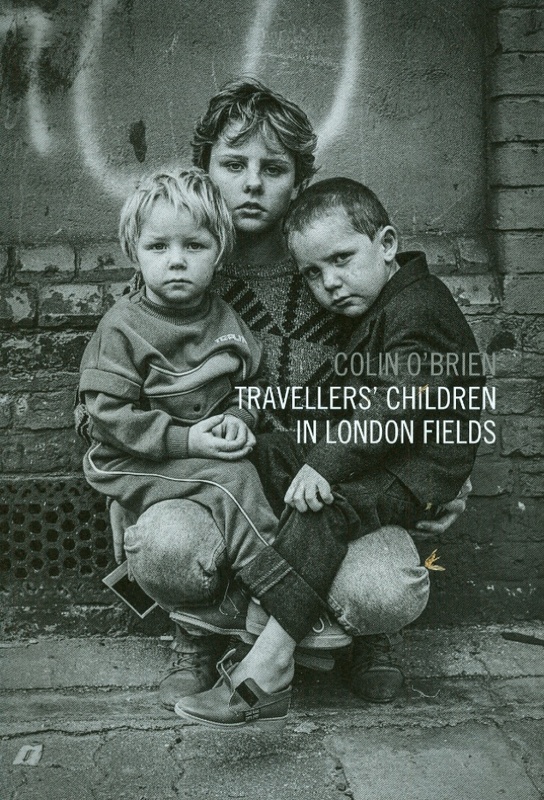 I have liked Colin’s work for many years and was delighted when he let us use one of his images for the cover of our Public History Reader published a few months ago. The venue for his book launch was chosen deliberately. Nowadays the railway arches near London Fields station host fashionable cafes and bakers instead of the small workshops for workers in wood I knew when I used to deliver the Xmas post there decades ago. This now fashionable area was once host to an unofficial site for travellers whom Colin got to know and photograph. Despite the best attempts of Hackney councillors in the 1980s to establish a centrally – based, well-equipped, permanent site this did not prove possible. Today the area has changed beyond recognition. Colin took us to the factory wall against which he photographed the children – one of the few traces of that particular 1980s past still existing in the now trendy, ‘edgy’ area. His comments on the location and the shoot are available on youtube. The book is beautifully produced by Spitalfield Life Books – and at a reasonable price. The black and white images are striking and evocative of a world that – in so many ways – no longer exists.